With two big releases scheduled for Varalaxmi on July 7th, she sure is on cloud nine! Vikram Vedha and Nibunan are the two films in which Varalaxmi plays pivotal characters. We caught up with her for an exclusive interview in between her busy schedule which also includes her theatrical production of Romeo Juliet and managing the Save Shakti campaign. Speaking about her upcoming theatrical dance production, Romeo and Juliet, which is a musical, this is what she had to say! ''We all know about the age-old eternal love story, Romeo Juliet. But nobody in the world has ever made it a musical. So, for the first time in the world, we are doing a Romeo Juliet musical. But I didn't want to make it an English musical and wanted to give some pride to our Tamil land. 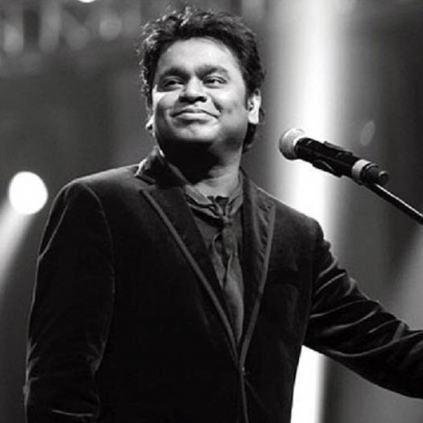 So, It will be an AR Rahman musical. I even spoke to Rahman sir and took his permission. Even though throughout the play, we will be doing it half in English and half in Tamil, the songs will all be in Tamil. It will be filled with Rahman sir's hits''. People looking for online information on AR Rahman, Varalaxmi Sarathkumar will find this news story useful.